Members of the Putnam Legislature learned a thing or two about aquatic life and the dangers of tiny plastic balls known as microbeads at a meeting of the Health, Social, Educational and Environmental Committee Monday evening. During a 45-minute pres… Please login below or purchase a subscription to the Putnam County Courier to access this content. Putnam County recorded its first drowning of the summer Tuesday when an 18-year-old Bronx youth visiting friends in the Kentwood Lakes section of western Kent lost his life. Kent Police were summoned around 4:15 p.m. to the remote section of town of… Please login below or purchase a subscription to the Putnam County Courier to access this content. People of all religious denominations and beliefs filled the meeting room at Carmel Town Hall last Wednesday evening to pay tribute to one of the region’s most loved, respected and revered clergyman who will be leaving his parish next week after bei… Please login below or purchase a subscription to the Putnam County Courier to access this content. Top: Native American chants are heard throughout the weekend at the county park. 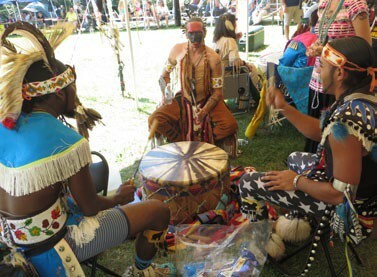 Native Americans as well as those interested in learning about local history filled the Putnam Veterans Memorial Park in Kent last weekend for the county’s 15th annual D… Please login below or purchase a subscription to the Putnam County Courier to access this content. 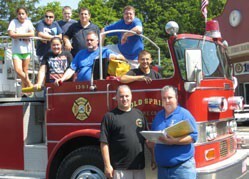 Top: The Cold Spring FD former ladder truck pulls into Carmel Sunday to partake in the parade. The truck is greeted by members of the CFD including Chief Vincent Ruggiero and one of the parade’s coordinators Jimmy Roberts. Thousands are expecte… Please login below or purchase a subscription to the Putnam County Courier to access this content. The summer has flown by and for area school children, vacation-time has been reduced this year. With Labor Day falling on Sept. 7, most schools throughout the county will be beginning class for the 2015-16 school term prior to the holiday marking th… Please login below or purchase a subscription to the Putnam County Courier to access this content. 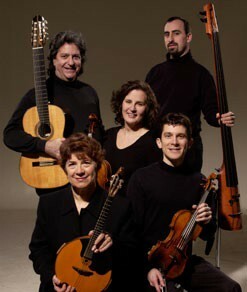 The Abaca String Band will perform Saturday in Brewster. Interested in a night on the town close to home? The Studio Around the Corner in Brewster will be welcoming the Abaca String Band Saturday evening in addition to the showing of the film, Andrew… Please login below or purchase a subscription to the Putnam County Courier to access this content.